This is a competition at which competitors are judged within the context of a live performance. No recorded medium, in any format, will be considered or accepted. 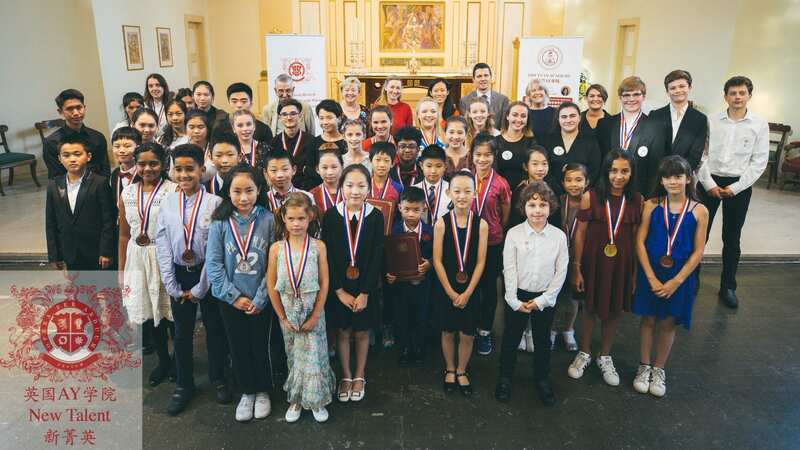 Competitors perform a selection of works according to their age group requirements within their competition category(strings/piano/voice/Woodwind & Brass/Speech). Competitors may perform from memory or from music in the competition. In the case of vocal and Speech candidates, it should be remembered that part of the assessment of the performance concerns communication with the audience and performing from a copy of music/text may prevent candidates from achieving this criterion to the fullest extent. Competitors should be accompanied by a single instrument in sympathy with the performance; vocalists may accompany themselves. In the case of vocal and Speech candidates only, CD backing tracks are permissible. However, the backing track must not contain the part being performed by the competitor; in such cases where the backing track does contain the part being performed by the competitor, the judges will disqualify such candidates from the competition. There may be occasions when the context of a performance does not require an accompaniment e.g. in the context of traditional folksongs or music written expressly for solo instrumental performance such as J. S. Bach’s Cellos Suites. In such cases, candidates would not be expected to ‘manufacture’ an accompaniment never intended by the composer. A grand piano will be provided for competitors or accompanists of the competition. No other instrument will be provided. It should be noted that competitors offering solo piano do not require an accompaniment. Competitors offering solo piano should not have any other instrument playing. This would make the performing ensemble a duo, trio, quartet etc. and would not satisfy the competition criteria of ‘solo instrumental performance’. If a competitor provides an electrical instrument the competitor must present an up to date PAT certificate to the organiser on the day of the competition. Failure to do so will disqualify the competitor from the competition. and the holistic view of the performance on the day. The adjudicators will not enter into any discussion or correspondence regarding their decision; the decision of the adjudicators will be final and not subject to any appeal. After the judges have determined the result of the competition, one or more judges will comment on their observations before announcing the results. To enter the competition please contact us via the Entry Form or the email provided on the Competition page. A member from the Competition team will be in touch and help the candidates submit all necessary registration materials. Candidates and Parents notified of arrival time for run-throughs on 9th August and registration and green room warm up on 10th August. All day competition for all categories. Evening: Prize-giving Ceremony and Reception. Performance at Expo 2019 Beijing. Before the competition, the competition organiser will conduct a draw to determine the order in which each competitor performs. The order of performance and guideline on arrival times will be notified to competitors at least two weeks before the competition. In unforeseen circumstances, the organisers reserve the right to make adjustment on the day if the need arises. Competitors must provide five copies of their selected works for the adjudicators. Competitors failing to do so will be adjudicated but the assessment may be adjusted accordingly. Photocopying facilities will not be available at the competition venue. Copies will be required one week prior to the Competition date (10th August 2019). Photocopies of music published as individual pieces will not be permitted unless competitors can provide written permission from the publishers. Photocopies of music not published as individual pieces but in an anthology, will be accepted provided the competitor has a copy of the original publication. All photocopies will be retained and destroyed by the organiser immediately after the event. Cuts to competitors’ parts are not permitted. If there are any variations to or extemporisation in the competitors’ parts, they must be clearly marked in the copies for the adjudicators. Any extemporisation of 20% or more is likely to affect the adjudicators’ assessment. Cuts to the accompaniment should be avoided. However, cuts are permissible to edit long introductions or long passages in the accompaniment where the competitor is not involved. Any cuts to the music must be clearly marked in the copies for the adjudicators. A master of ceremonies will invite each competitor in order of the ballot, to warm up in the green room and then to come to stage to perform. Competitors may introduce their selection of works. After the adjudicators have determined the result of the competitions, one or more judges will comment on their observations before announcing the result. The needs and rights of the child, the elderly, the vulnerable and those with disability take priority. It is the duty of every ‘New Talent’ staff to safeguard to the best of their ability, the welfare of and prevent the physical, sexual or emotional abuse and neglect of all children, the elderly, persons with disability or otherwise vulnerable persons with whom they come into contact during their ‘New Talent’ duties. Please read this Competition Guideline before completing the Entry Form. By sending the form, you confirm you have read, understood and agreed to the terms of this Guideline. Please submit the Entry Form before 1st July 2018.